Everyone needs a bit of colour in their life. It brightens up the day and creates a warm and happy mood within your home. Adding bright colours to your rooms can be scary if you don’t approach it the right way. When you decide to bring a splash of colour to your home, the easiest way to do it is by introducing a burst here and there with a nice piece of bright and colourful furniture or homeware. Initially, many people would think to paint their walls with bold colours in an effort to brighten up a room, but this can actually be quite overwhelming and end up dominating the rest of the house. A table is usually the centrepiece of you room, whether it is a large kitchen table, wooden dining room table or even a small coffee table in your sitting room. 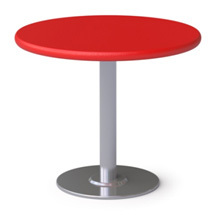 As an important feature in a room, the table is an easy piece to help bring colour to your décor. If it has seen better days, you can always give it a lick of paint or if you are reluctant to change your table anyway, then the easiest thing to do is to buy a nice bright table cloth. There are so many to choose from and they come in a range of patterns and designs too. A trend that began in Europe, colourful appliances are becoming more and more commonplace in kitchens around the world. Adding a bright red blender, a sunny yellow kettle or orange spice rack will add a little burst of colour to your kitchen. You can even simplify it further by buying a pack of multi-coloured utensils to hang on your wall to keep on display in a nice wooden box on the counter. 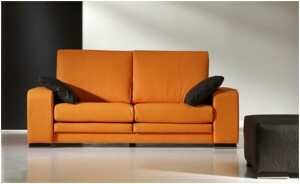 As the main place you relax in your home, the sofa is a pinnacle part of your house. If you have very neutral coloured walls then a bright sofa will really revitalize the whole room and add a gorgeous splash of colour, without being too overpowering. The other great thing about having a bright sofa is that you can always buy a throw and change it, depending on your mood – if you are strapped for cash at the moment, then there is a great range of cheap sofas at HelloSofas.com. Of course if a whole sofa feels like a step too far then a simple armchair in a bold colour would still look great. If buying or redecorating furniture just seems like too much effort and you are low on time, one of the cheapest and easiest ways to brighten up a room is simply by changing your curtains. There are many places to buy bright and bold curtains in a range of colourful designs and styles, but you could also just as easily make your own. You can buy material from a number of places such as haberdashery or markets and start from scratch – you may even learn a new skill! 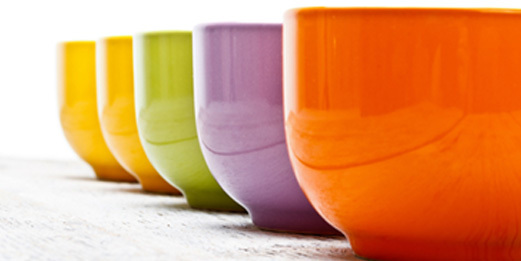 One of the simplest ways to add colour to your home is by using accessories. These can be photo frames and vases, or flowers and plants. There is no end to the amount of beautiful bright additions that you could bring into your home. Add a throw to a chair or a mirror to your hallway, or even simply buy a bright new bedding set – some smaller things can still go a long way to keeping your home looking bright and cheerful. Categories: Bedrooms, Furniture, Home & Garden, Home Improvement, Shopping.